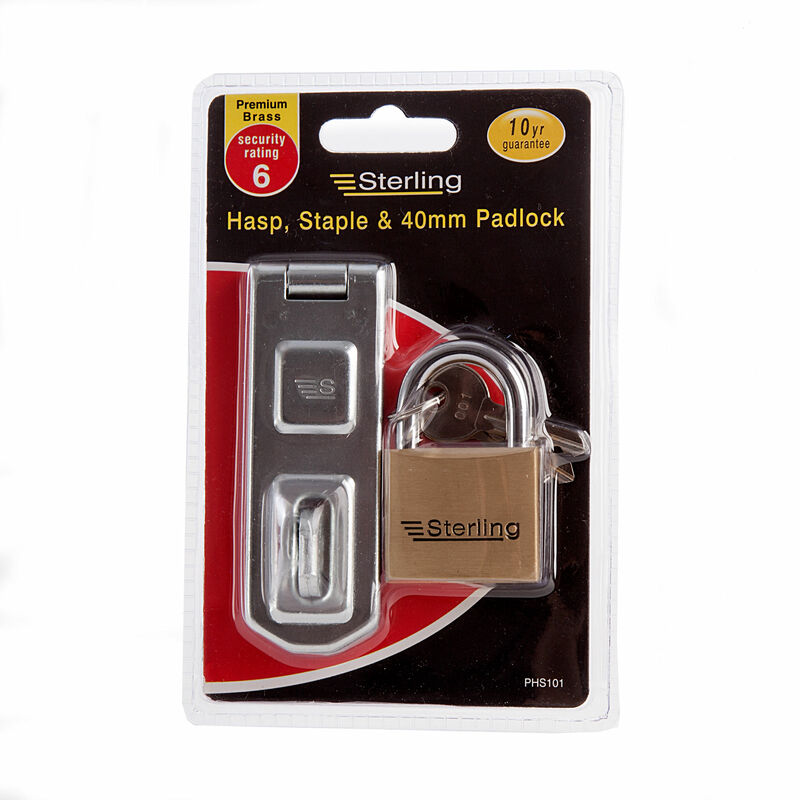 The Sterling PHS101 Brass Padlock With Hasp and Staple comes complete with 2-keys and is a mid-range security padlock. The PHS101 is suitable for use in the home, garage, workshop, shed, for lock-up's and commercial use. 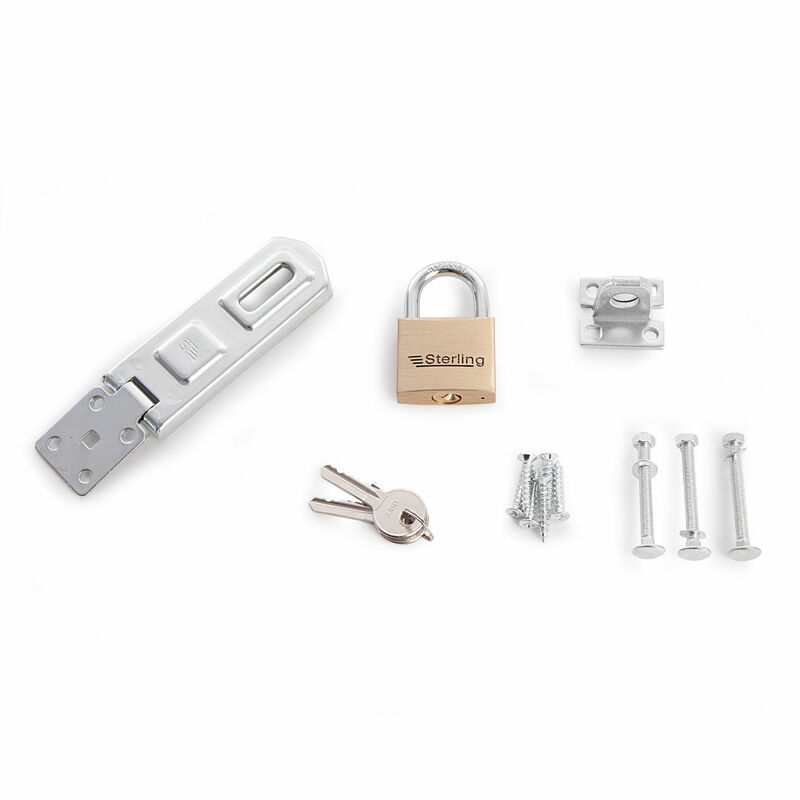 It has a hardened steel chrome plated shackle for extra protection against hacksaw and cropping attack. The solid brass body and cylinder together with the stainless steel springs helps give it extra protection against corrosion. It uses a standard section Keyway, enabling easy re-cutting of additional keys as required by the user. The 100mm Hasp and Staple is corrosion resistant and made from a tough steel construction with a hardened staple, hinge pin and screws. It comes complete with all required fixings. The PHS101 comes with a security rating of 6.